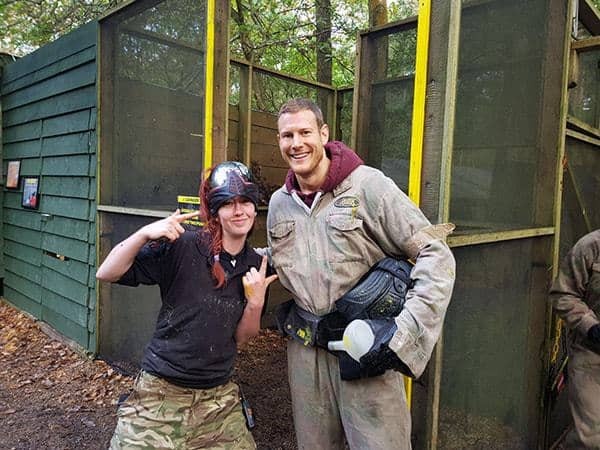 With the scorching new series of Game of Thrones still fresh in our minds, it was a pleasure to greet Tom Hopper over the weekend at our Delta Force Paintball centre in Gerrards Cross. Known for his role as Dickon Tarly (cue Bronn-esque giggling), the British actor flexed his heroic muscles out on the paintball field as he and a group of mates took part in an epic Stag celebration. Introduced as Samwell Tarly’s athletic older brother, Tom must have felt right back on set storming through our five exhilarating game zones filled with cinematic props, including the colossal two-storey Castle Wallenberg hosted by evil forces that occupy the castle walls. Happily snapping away with our paintballing staff, Hopper displayed valiant skills throughout the day. His stag however was not so lucky on our nail-biting London Apocalypse and was quick to bend the knee when his supposed friends turned on him in true Game of Thrones style. 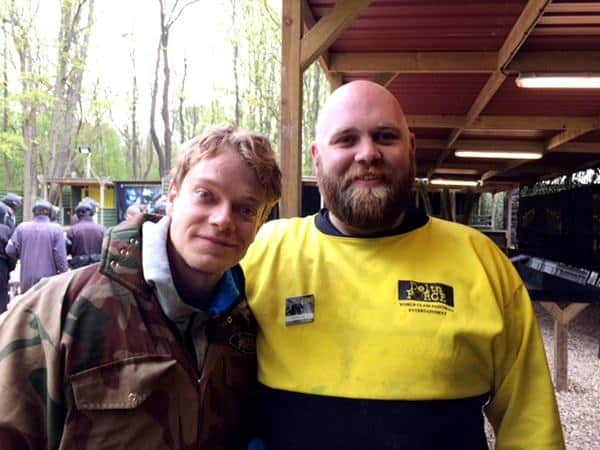 Delta Force Paintball is no stranger when it comes to high-octane drama as we previously hosted for the infamous Theon Greyjoy whose infrequent alliances made the Delta Force staff a little twitchy over at our North Bristol paintball centre. Fortunately we can’t say the same about actor Alfie Allen who plays Theon in the hit show. Alfie wasted no time getting geared up in our state-of-the-art kit and taking pictures with the staff. Both he and sister Lily held the Allen banner high as they got stuck in for a full day of paintball for Lily’s surprise 30th birthday. Welcoming thousands of new and returning customers each year. 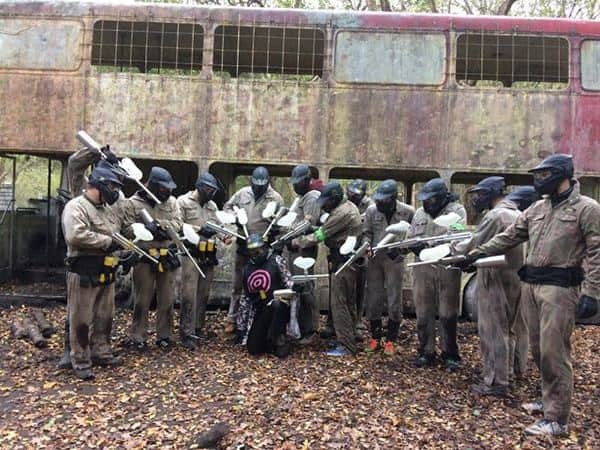 Delta Force Paintball is the perfect host for paintballing birthday parties, corporate events, stag dos and hen parties. Call 0203 869 9301 now to book your perfect paintballing event or complete the enquiry form online.